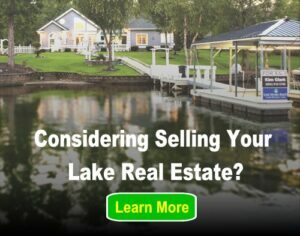 Here at Lake Homes Realty we have expanded from 1 state to 5 in about a year and a half. During that time I have acquired a wealth of knowledge about lakes throughout the South, be it from direct research or just through osmosis. One interesting bit of information I have noticed is that many lakes have an identity crisis. First, a little background. Although some state borders are arbitrarily placed, many are actually strategically created along the border of a river. When a river is dammed, a lake is formed and it is thus divided between two states. This is how lake names can differ in a region; when two states don’t agree on what the lake their borders share should be called. If you live in Alabama you probably know of the lake in the southeast part of the state bordering Georgia as Lake Eufaula. This seems logical since the City of Eufaula lies adjacent to the lake in Alabama, but the official name is actually Walter F. George Reservoir. Walter F. George was a Georgia senator, so naturally, many people in Georgia refer to the lake by the official title. This lake lies on the border between Georgia and South Carolina, just north of Augusta. It was originally named Clarks Hill Lake after the nearby town of Clarks Hill, however in 1987 congress passed a bill to rename the lake after South Carolina senator Strom Thurmond. Once again, many people did not care for this change (particularly in Georgia) and to this day many people still refer to the lake by the original Clarks Hill title. Now we visit a lake that lies between the borders of North Carolina and Virginia. At this point you may have noticed a pattern, and that pattern holds true here as well. 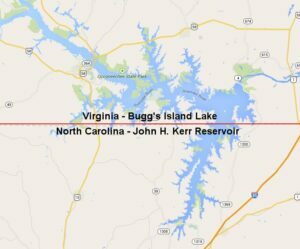 First named Bugg’s Island, the lake was later renamed to honor a North Carolina senator named John H. Kerr. Virginians once again stuck to the original and even went so far as to pass legislation saying the lake could only be marketed as Bugg’s Island. But, after more than 60 years, this debate may finally be drawing to a close as a Virginia senator recently introduced a bill to officially change the name to Kerr. The reason behind the change is simple, to prevent confusion for possible tourists from outside of the area. Although this bill is likely to pass, you can expect most locals in Virginia will still continue to refer to their lake as Bugg’s Island for years to come. No matter where you are from or what you prefer to call these lakes, one thing everyone can agree on is that they all provide breathtaking beauty and endless enjoyment for everyone fortunate enough to experience them.